Before the 1980s, manufacturing in the Bajio represented one-fifth of the regional economy, while the share of GDP now stands at 26 percent in the states of Querétaro, Guanajuato, San Luis Potosí and Jalisco. In recent years, the economy comprised of firms manufacturing in the Bajío has been characterized by economic growth that has exceeded that of the national average. This phenomenon can have its explanation in the boom of the region’s manufacturing sector, (mainly the part of the industrial base that produces goods for export), which can expand its production beyond the limit of domestic demand. It is worth mentioning that the expansion of manufacturing in the Bajio had its beginnings in the last century. Prior to the 1980s, manufacturing represented one-fifth of the regional economy, while its share of Gross Domestic Product (GDP) now stands at 26 percent in the states of Querétaro, Guanajuato, San Luis Potosí and Jalisco. It is precisely with the opening of Mexico’s borders to international trade, through the signing of the General Agreement on Tariffs and Trade (GATT), that a new manufacturing industry is beginning to take shape. The liberalization of the Mexican economy was a boon to companies that were then manufacturing in the Bajio. Major automobile manufacturers and setup operations in the Bajio which has propelled Mexico into being one of the top automobile manufacturing and exporting countries in the world. Alongside this growth are the hundreds of support industries that are setting up operations in the Bajio. Another of the positive features of manufacturing in the Bajio is its rapid progress as of late. While this activity registered an average annual growth of 1.7 percent in the period 2003-2016, Bajio industry growth came in at 4.6%. This dynamic characterized in 2017 and is continuing through the beginning of the current year. An analysis of the activity of the first three quarters of 2017 demonstrates that manufacturing in the Bajio grew at a five percent annual rate. This is according to data provided by local economic development organizations. Once again, the pace of manufacturing production of these four states exceeds the growth of 3.7 percent that was recorded in the entire country. By state component, San Luis Potosí had the best results in the first nine months of 2017. According to estimates, the production of manufactured products in the state grew 8.5 percent in relation to the same period of 2016; San Luis Potosí followed by Queretaro, which registered a growth of 5.2% during the same period. Despite the uncertainty surrounding the renegotiation of the North American Free Trade Agreement, it is also predicted that the economy of the Bajio state of Jalisco will increase at a three percent pace. Much of this growth will take place in the manufacturing sector. Looking at manufacturing in the Bajio, it is estimated that the sector’s production will grow at an annual rate of 4.4 percent in the current calendar year. In terms of industrial expansion, Guanajuato is projected to grow between 2.1 percent and 2.5 percent over the course of the current year. The state of Guanajuato is the most prolific of the region’s producers. The industrialization of the Bajío has been, and continues to be, an indisputable success. This is true especially at a time when adapting technology from abroad was easier compared to utilizing domestic manufacturing know-how. In this sense, it could be said that the Bajío is definitively immersed in the global production chain. Although the industry faces the challenge of continuing to evolve at the rate that new technologies are incorporated in the transformation of products, in Mexico there is a possible additional challenge: a potential restriction on foreign trade resulting from the NAFTA renegotiation. Although the economic model focusing on exports from the region has paid off in the Bajío. Growth through the satisfaction of the domestic market for goods is not being overlooked. Recently the Tecma Group has made the decision to expand along with manufacturing in the Bajio with offices in Silao. It is listing the Bajio as one of its locations to be included with already established production sites in Ciudad Juarez, Chihuahua and Tijuana, Baja California. It’s Mexico shelter services, represent a turnkey mechanism by which manufacturers can set up production with the least amount of risk and the optimal amount of organizational security. 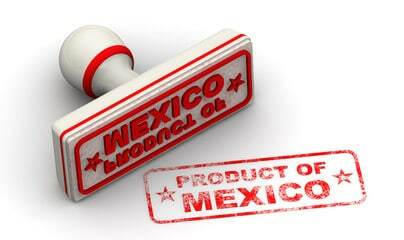 Global manufacturers bring their know-how, their equipment and material inputs to Mexico. The Tecma Group takes care of all areas that are not related to core manufacturing processes. Among the services included are: site selection and facility choice, recruitment and human resources administration, accounting and payroll and the purchase of MRO items. The Tecma Group’s manufacturing shelter services can also enable companies to cut their manufacturing costs up to fifty percent.